Glasses in More Than 1 Hour! You have probably seen commercials advertising glasses in as little time as an hour. Well, we promise to spend more than an hour on something as important as your glasses! We work with labs on the cutting edge of lens technology, and they understand that the fine science and details of optics should not be rushed. Each of our frames is backed by a one year warranty at no additional cost. We will adjust and fix your glasses whenever possible at no cost to you. 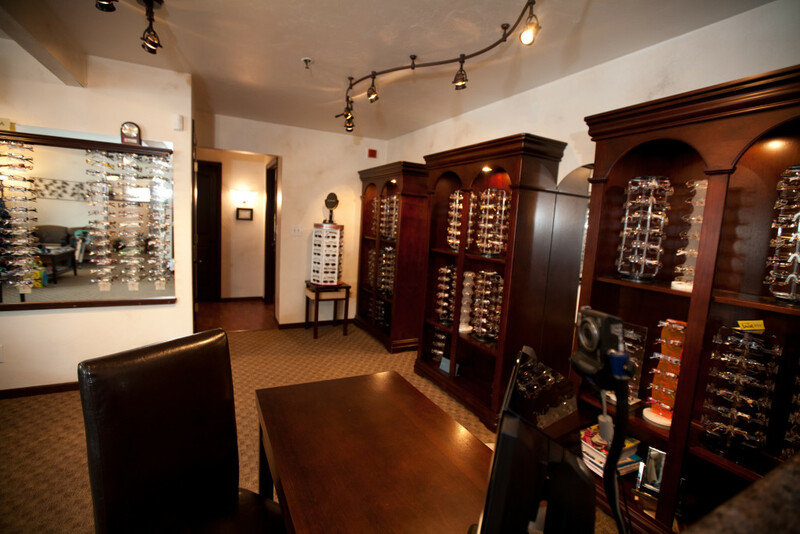 We are always happy to provide knowledgeable assistance in making your eyewear choices. Your glasses will undergo several detailed inspections by both our lab and our office. If an imperfection is found, they will be remade before they are dispensed to you. We are proud to have over 600 frames and sunglasses in stock, with the option to order in additional colors and styles that match your interests! provide high quality lens options. What are the Benefits of Anti-Glare Treatments? 1) Look Better/ See Better: Crizal products will improve visual acuity, as well as the aesthetics of the lenses and glasses. Crizal allows more light to pass through the lens, giving the wearer better vision. With fewer reflections, you will see better and people will be able to see your eyes more clearly. 2) Decrease Glare: It will significantly decrease glare from things like overhead lights (especially florescents), computer screens, TVs, and headlights (especially at night- see below). These glares would normally cause eye strain and fatigue, eroding vision quality. 3) Help Night Driving: If driving at night is difficult because you are experiencing disorientating halos, glare, and reflections from oncoming headlights, Crizal products can help you to see more clearly behind the wheel, improving your comfort and safety.